A well-crafted newsletter can serve many purposes to benefit your business. Similar to your blog (you do have a blog, right?) a newsletter is a great way to build relationships with your customers. They can be used to provide helpful information, keep connections fresh, and maintain loyalty. 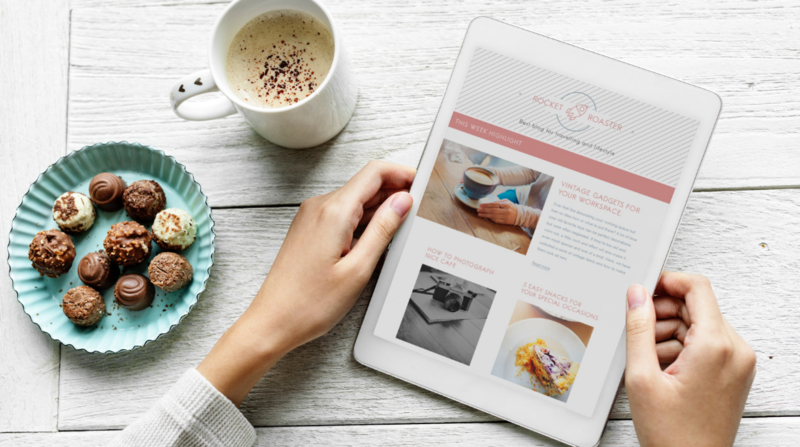 However, as your blog should be used to take a soft approach to providing useful material for your brand, your newsletter can take a more direct path towards a call to action. Newsletters are extremely important for your internal communications, as well. They are used to inform your customers, team, stockholders, or shareholders of any changes, news, and best practices. They are often used to communicate any important information to a large group all at once. 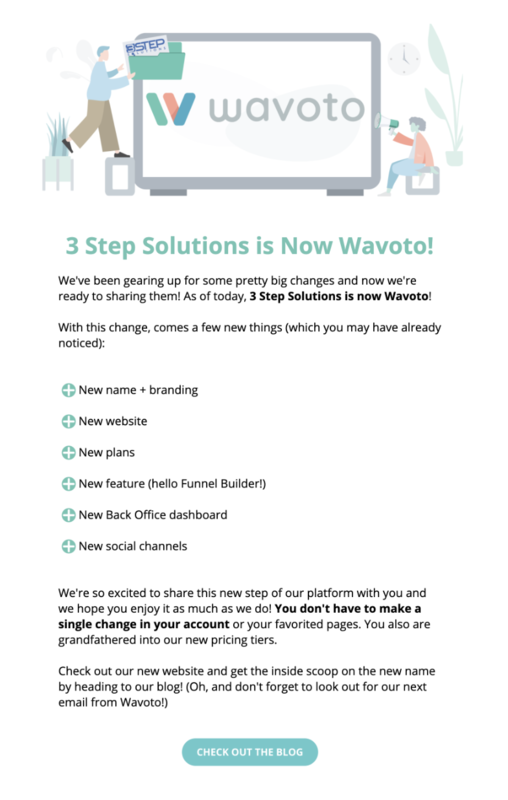 We're going to dive into writing newsletters to better serve your biggest audience - your customers! All of those things are great right? Of course, they are, but if your audience doesn’t open the email then all of your hard work creating, writing, and perfecting your newsletter is all for nothing. So how do you get your emails noticed and opened? I always stick to keep it simple and relevant, but there are more details to that. First, send your newsletter to only people who want it. You don't just end up in SPAM folders willy-nilly, people have to report you for clogging up their inbox...and they often do that when they didn't ask for an email but they got it anyways. What else should you do, though? Target the audience that has expressed interest in certain areas. Add tags to subscribers when you gather their information and you can have laser focus. (Check out how Wavato’s functions can help by clicking here) Using previous purchases is another great way to segment. 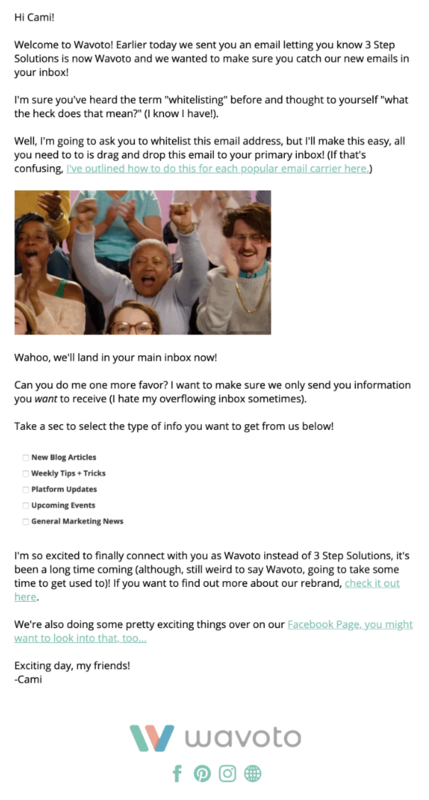 The preview text uses a chunk of your content to provide the recipient with a snapshot of the email, I know I use that a lot to determine which emails I open. If you can't edit your preview text specifically, you can write your first line of the email to be engaging. Switching it up a little bit will make your subject lines stand out from those around yours, you can easily do this by using numbers or emojis! Keep them modest, it only takes 1 or 2 to get someone’s attention. Boring and flat subject lines will quickly get glossed over. Ask a question to spark interest or say something funny to get a chuckle out of your customer. Check this one out from The Hustle. When your lists are segmented and personalized your open rate will be higher. Use someone’s first name along with a question and they’ll feel like you're talking only to them. Yes, FOMO is a real thing! You can use urgency, end dates, and “don’t miss out” subject lines to entice readers to click, after all, they might have a fear of missing out. STOP USING ALL CAPS, IT FEELS LIKE YOU’RE YELLING AT PEOPLE. Try to avoid using salesy language. You’ll run the risk of being flagged and sent to the junk file. If the algorithm thinks it’s a sales pitch the email might get tossed or just sent to the "Promotions" folder in Gmail (which might as well be SPAM because no one looks there!). A little makes a point, too much makes the trash bin. The best thing you can do is to try a few different approaches and track your results. The more you try and the more you analyze, the better you can craft your subject lines for the future. Each format has its pros and cons and you’ll have to decide which option is best for your skill set and what you are trying to accomplish. HTML is by far the best option if you are looking for customization and graphics. You can change fonts and colors and even add sound effects. Hyperlinks are easily added and traceable by your analytics. You have the most flexibility to be creative and can really produce the wow factor. However, if you're not familiar with HTML or the email website builder you use, this can be the most difficult and time consuming to compose. HTML is also the most difficult to deliver nowadays. Some recipients emails won’t format it the same as you intended pretty much ruining all your hard work. They don’t usually print properly. Also, there are more security issues with html and some firms have “strippers” in place that actually de-format HTML removing graphics, style, and links leaving it looking like a first grader typed it. Some email programs send html to spam or won’t allow them through at all. If you want impressive graphics and design, and you're confident you can get through security than HTML can be great. Text is clearly the easiest format to work with, however, it’s also the most basic lacking any bells and whistles. They are easy to produce, accepted by all email programs, and often translate very well to mobile. Everything that makes HTML appealing is what makes plain text unappealing. You lose the ability to change fonts and colors. The headlines are less distinctive and there are no alluring images. It is also difficult to track results from actions taken from plain text. Hybrid emails are the most popular right now, combining the eye-catching images and styling of an HTML newsletter, with the simplicity and delivery of a plain text email. They are easier to create in any email builder and can be put together very quickly. You’ve designed it. You’ve got them to open it. Now you need the reader to act on the great information you are laying out before them. The click-through rate or (CTR) measures how many people clicked on links in your email. You're not going to sell grass-fed beef to a vegan. Whether you are just informing or trying to elicit a sale, the information or product needs to be useful to your intended audience. This is where segmenting your email list really comes into play. In order to make your emails relevant, you need to segment them. If you haven't yet, it's not too late too! While you may be excited to tell people all about five different products and the three deals you have going on you need to keep it simple. People have a problem with too many choices, too many choices leads to none at all. Utilize your headings as most emails are just scanned. A good heading can get them to pause and read the details. Don’t ramble. Make your points, support them, and move on. Make you CTA blatantly obvious. “Start Here”, “Sign Up Now”, “Get Your Discount”, and so on. Make your button stand out. Including a call to action button instead of a text link can increase conversion rates by as much as 28%. Emails that include social sharing buttons have a CTR 115% higher than those that don’t (5.6% vs. 2.6%), according to an analysis released in January 2012. Everybody knows somebody that needs something. Think about it, a person’s friend is likely to have some of the same interests. By emailing with social links the recipient can expand your reach with the click of a button. Use the P.S. line for driving home your call to action. Remember, people are headline hunters and this is the last one on the page. If you view each newsletter’s performance as a success or failure you’ll drive yourself crazy. If you choose to view it as an experiment then you will learn and adapt every time you send one out. Test different ideas and think outside the box - what works for someone else won't necessarily work for you! Try different things, be original and use your tools to craft the best return on investment possible.